Yesterday, it was simply a source of light. 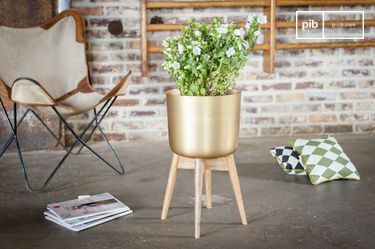 Today, it has become indispensable in the field of industrial, vintage decoration. It is the ideal lighting accessory and a complement to your desired style. With technological advances and the decline of the industry, the incandescent light bulb gradually disappeared from factories and to interior design, before the flame was rekindled in the 1980s, a time which saw the trend of loft decor begin to emerge. 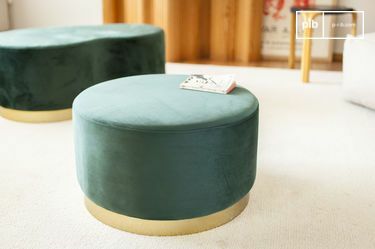 In the same interior space, you can adopt varied yet original shapes, both spherical and elongated to create a unique style and atmosphere. 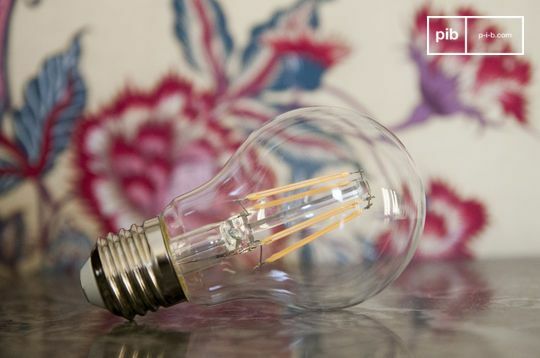 The filament incandescent light bulbdiffers from traditional bulbs due to its authentic and atypical look. It is versatile and can be used alone or with a vintage light. 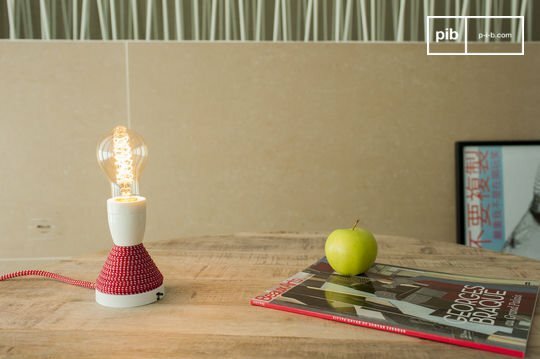 In an iconic industrial lamp or in a retro wall lamp, it will bring a touch of originality to your decoration. However, it reveals its true potential only when left out on show, for example, in hanging lights. In your kitchen you can install a breakfast bar with bar metal stools, above which, you can arrange two or three hanging lights with vintage shades of different shapes. This layout has become a classic in loft style interior design, used in the dining room as well as in the bedroom. 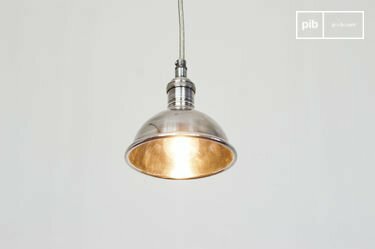 Wind the incandescent pendant light around a wall hook near your bedside table to create a retro style light for those evening reading sessions. If you want to protect it from accidents, you can mount it in an industrial vintage style light cage. This way, there will be no risk of you breaking it. 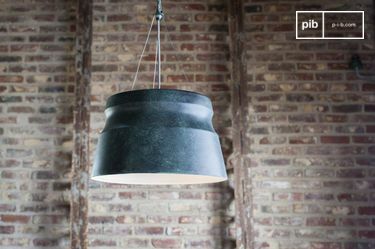 To add spice to the mix, you can also use it as a pendant ceiling lamp to create a workshop effect. 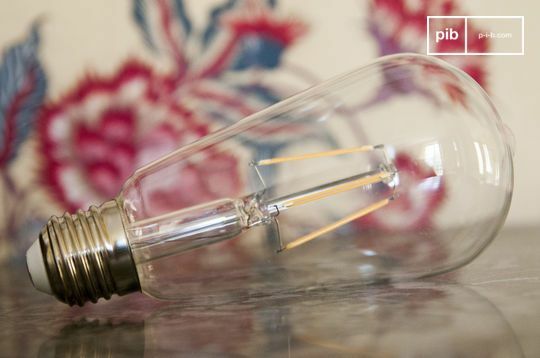 The filament incandescent light bulb differs from traditional bulbs due to its authentic and atypical look. It is versatile and can be used alone or with a vintage light. In an iconic industrial lamp or in a retro wall lamp, it will bring a touch of originality to your decoration. However, it reveals its true potential only when left out on show, for example, in hanging lights. In your kitchen you can install a breakfast bar with bar stools, above which, you can arrange two or three hanging lights with vintage shade of different shapes. This layout has become a classic in loft style interior design, used in the dining room as well as in the bedroom. Wind the incandescent pendant light around a wall hook near your bedside table to create a retro style light for those evening reading sessions. 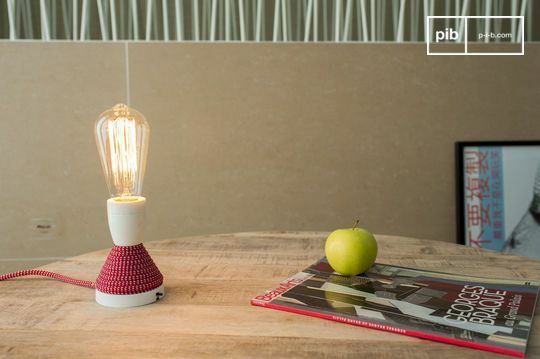 It should be remembered that the decorative bulb is not limited to the industrial style. In rustic or modern interiors, it provides an added touch to any room.